The year 2018 is marked by elegance, authenticity and hot new looks on the design scene. Whether you’re an avid design enthusiast or you just have an eye for aesthetics, you cannot but fall in love with high style trends that this year has brought under the spotlight. From stylish interior vibes to general home design styles, these five trends will provide you with a world of inspiration for your home in 2018. This year is all about colours, leaving classic all-white looks behind in favour of more inspiring designs. In particular, rich colour schemes of warm greys combined with rust, brown, black, camel and tobacco shades are perfect for creating a stunning, layered look in a home. Pops of earthy reds and yellows can be used for stunning accents that will accentuate the beauty and richness of this year’s neutrals. These moody, rich tones exude elegance and subtlety, which will ensure a long-lasting presence on the modern design scene. Such a stunning palette has a special place in the modern kitchen, creating a stunning, sophisticated look with a warm and authentic flair. However, bold shades also have their place under the sun in 2018, with Pantone’s Ultra Violet being the colour of the year. Jewel tones, including indigo blue, emerald green and mustard yellow, can be also seen in stylish 2018 homes, especially for stunning accent details. 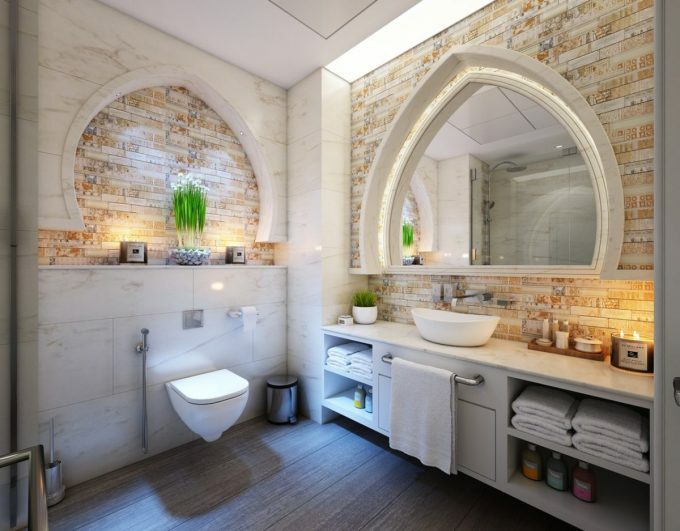 Spa-inspired looks have become one of the most sought-after features in the modern homes, with more and more homeowners trying to capture the opulence of boutique hotels into their own bathrooms. The modern bathroom features a clean, minimalist look of soothing neutral hues. Wood tones are used to add warmth and create a slightly rustic appeal, while natural stone is an emblem of subtle elegance used for floors, showers or bathtubs. From stunning statements, such as a luxurious chandelier above an elegant freestanding tub, to tiny details, including scented candles, lush towels and tub caddies, every single piece matters in a spa-like bathroom. Minimalism has an important role in designing a spa-inspired bathroom, creating a soothing, clutter-free area perfect for relaxation and self-indulgence. Stunning storage solutions, such as built-in compartments and lovely floating shelves, are used for displaying just a few tasteful details that can elevate bathroom décor and create an elegant look. The year 2018 has laid emphasis on customized home designs that meet the needs and preferences of owners. As such, personalized home designs have greatly replaced uniform project homes. 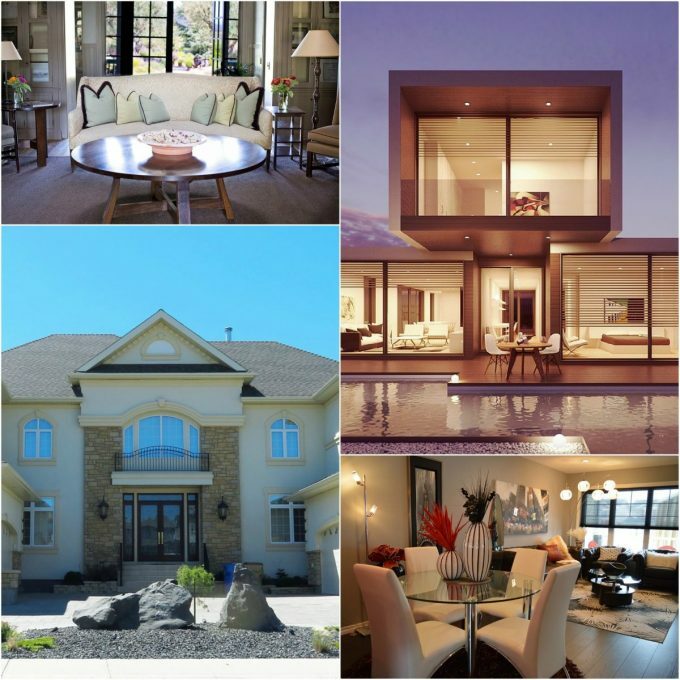 Tailored to specific needs and style requirements of owners, custom homes offer a great opportunity for creating a personal statement and expressing your own personality through design. 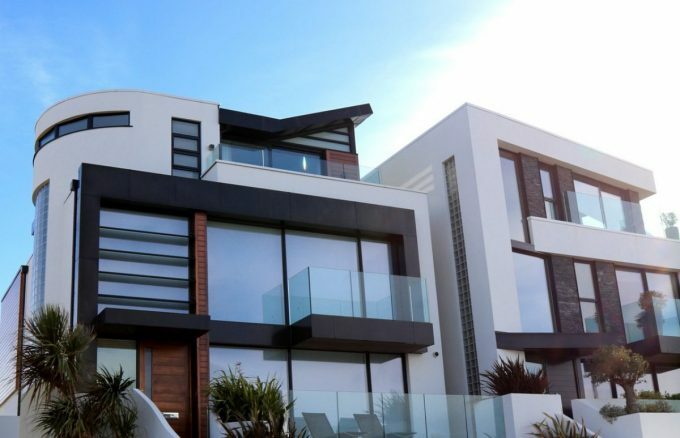 This practice is particularly popular in the Land Down Under, with experienced luxury home builders in Sydney designing truly stunning, stylish and authentic properties for their clients. Sydneysiders prefer personalized homes that resemble their own works of art. Personalized home design is becoming increasingly popular around the globe, providing homeowners with an opportunity to have their dream homes turned into reality. While statement walls embellished homes in 2017, ceilings will be used as mesmerizing focal points in 2018 homes. Statement ceilings are drawing the gaze upwards, creating the wow effect in modern spaces. Subtle, monochromatic walls are used as a neutral backdrop for ceilings embellished by enchanting wallpapers, tiles and colours that make them truly stand out. Wallpaper designs, in particular, have come to the forefront in 2018, featuring enticing digitally printed patterns and beautiful colourful looks. Textural wallpapers can be also used for a statement ceiling, especially silk, vinyl and grasscloth. Such a design will give a new dimension to a space, allowing owners to make a bold statement, be creative and create beautiful focal points. In the design world of changing trends, wood seems to be a constant feature of style and elegance in modern homes. In 2018, wood will come in many forms, colours and patterns, bringing a warm, organic look to trendy interiors. Dark wood tones will replace Scandi-inspired bleached, understated woods with mahogany, dark oak and textured walnut being under the spotlight. 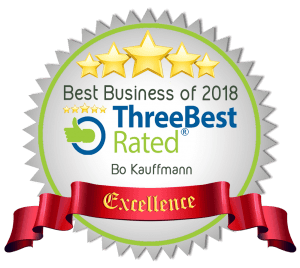 Cerused wood is one of the most popular finishes in 2018, especially for cabinetry and furniture. Cerusing accentuates the natural wood grain, bringing depth and style to a space. 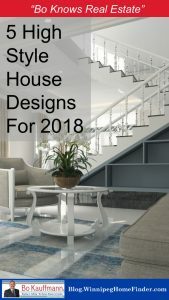 The year 2018 is time of elegance, sophistication and authenticity in home design, enabling owners to express their creativity and create designs with unique flairs. Please Follow Me On Social Media ???? 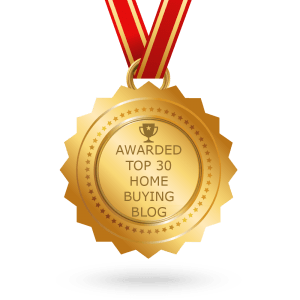 Previous articleDid your house or condo listing expire? Let’s fix that!